With the arrival of fall, the windows in Lakeville MN homes tend to stay closed, rather than bringing in fresh air. This is the time of year when people often turn to home fragrances to make their home a bit cozier and appealing. However, many of those commercial fragrances contain chemicals and other ingredients that can cause headaches, asthma, and other issues. Fortunately, it’s easy to make your own that smell just as delicious, but without those mystery ingredients. If you have a wax warmer, you can easily make your own wax melts. Get the kids involved, invite a couple of friends over for a fun get-together, or make extra for holiday gifts. All you need is beeswax, coconut oil, and spices from your own pantry. While you’re at the craft store picking up the beeswax, look for some fun leaf- or pumpkin-shaped molds for added fun or just use regular ice-cube molds. You can get creative with your fragrance blends, using chopped orange peel, vanilla, cloves, cinnamon, ginger, rosemary, bay leaves, or that handy pumpkin-pie spice blend to make what appeals to you. You generally want approximately a half cup of beeswax, a half cup of coconut oil and two teaspoons each of your chosen spices. Melt the oil and wax, then take off the heat and stir in your ingredients, then pour into your molds and let them set, at least a few hours, preferably overnight. For a quick air freshener to perk up any room in a hurry, make your own easy pumpkin spice room spray. You can purchase a range of essential oils to recreate the smell of a freshly baked pumpkin pie, or whatever seasonal favorite you prefer. For the pumpkin spice spray, use a quarter of a cup of distilled water, three drops each of cardamom, cinnamon, and ginger essential oil, and five drops each of orange and clove essential oils. Make the mixture up in a four-ounce glass spray bottle and it’s ready to go. Just give it a good shake each time before using it. This is another item that you can make in bulk for great last-minute gifts or stocking stuffers. Be sure to use essential oils and not fragrance oils so that you don’t end up with unwanted chemicals. A glass sprayer also doesn’t break down the way a plastic one can. 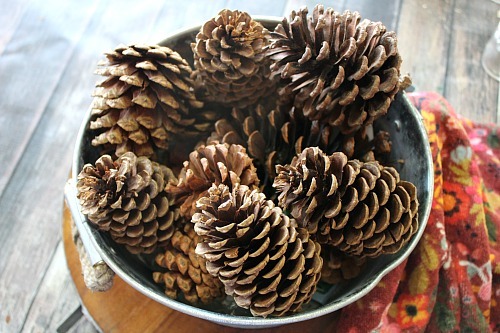 You can also use your room spray to create your own scented pine cones. Either buy plain, unscented ones that you can spray with your own spray as often as you want, or pick up some pine cones that you find outdoors. Those will need to be placed on their side on a foil-lined tray and baked at 200 degrees for 45 minutes in a preheated oven to get rid of the sap and anything else you don’t want. Once they’re cooled, they can be sprayed and arranged around your home for a fragrant and attractive decoration. Finally, the easiest way to add some fantastic fall fragrance to Lakeville MN homes is simply by simmering some classic fall fruits and spices. This stovetop potpourri can easily weave its way through your home with all-natural ingredients. Using a pot on the stove or even a slow cooker, combine water with ingredients such as orange peels, apple peels, ginger peels, two cinnamon sticks, two to three star anise, two bay leaves, and a quarter teaspoon of whole cloves. Bring to a boil and then turn the heat down to a low simmer and let it go for as long as you want, adding in water occasionally so the pot doesn’t run dry. You have an easy way to add fall fragrance and make your home smell as inviting as it looks.